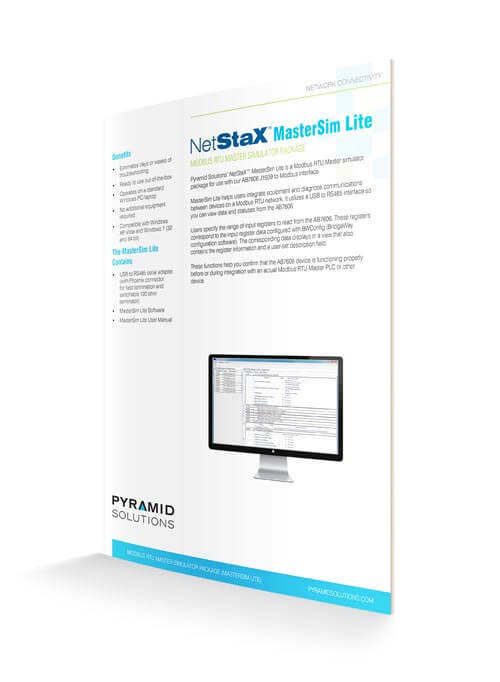 NetStaX™MasterSim Lite is a highly valuable tool for applications that require Modbus RTU connectivity. 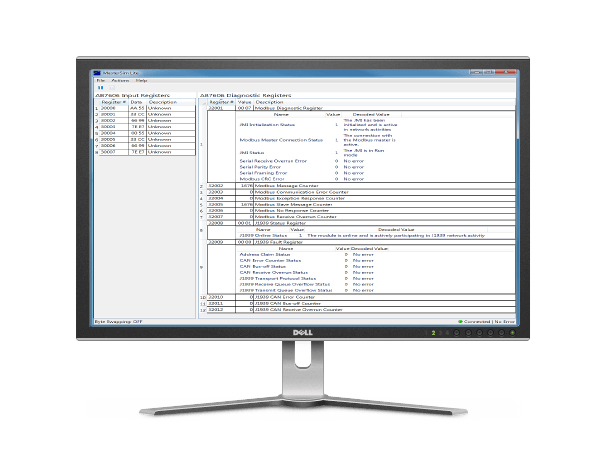 This tool helps users save time and easily troubleshoot when integrating a solution. MasterSim Lite is a Modbus RTU Master Simulator package for use with our AB7606 J1939 to Modbus Interface Gateway. Use MasterSim Lite to confirm that the AB7606 device is functioning properly before or during integration with an actual Modbus RTU Master PLC or other devices. It displays AB7606 Modbus input register data as well as detailed status data from the AB7606 module to help you during system integration. MasterSim Lite allows you to specify the range of input registers you wish to read from the AB7606. These registers will correspond to the input register data you configured with BWConfig (BridgeWay Configuration Software). A viewer displays the register information, received data and description field from the corresponding data. MasterSim Lite is ready to go out-of-the-box. It operates on a standard Windows PC/laptop and doesn’t require additional equipment or software.